Melbourne Cup, one of Australia’s most prestigious annual horse racing event conducted by the Victoria Racing Club on Flemington Racecourse was just around the corner. 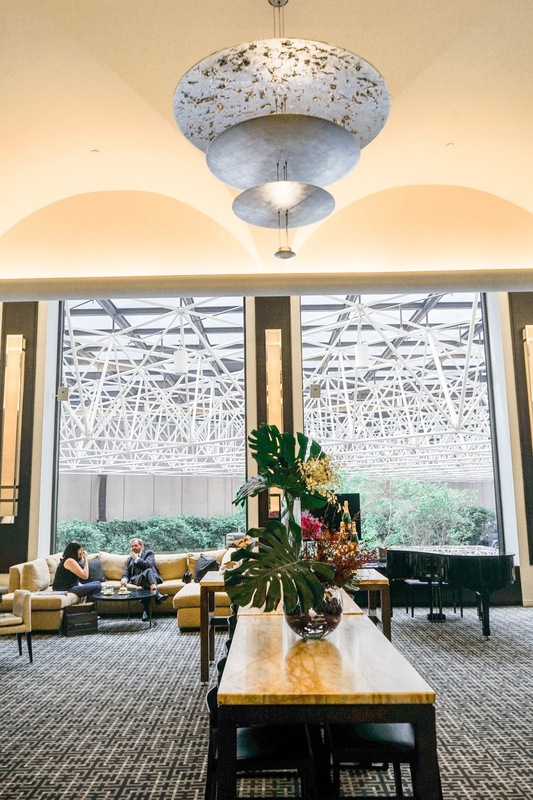 I wanted this long weekend to be extra special, so I stayed at Sofitel Melbourne – a 5 star hotel located on Collins Street to attend the exciting carnival. 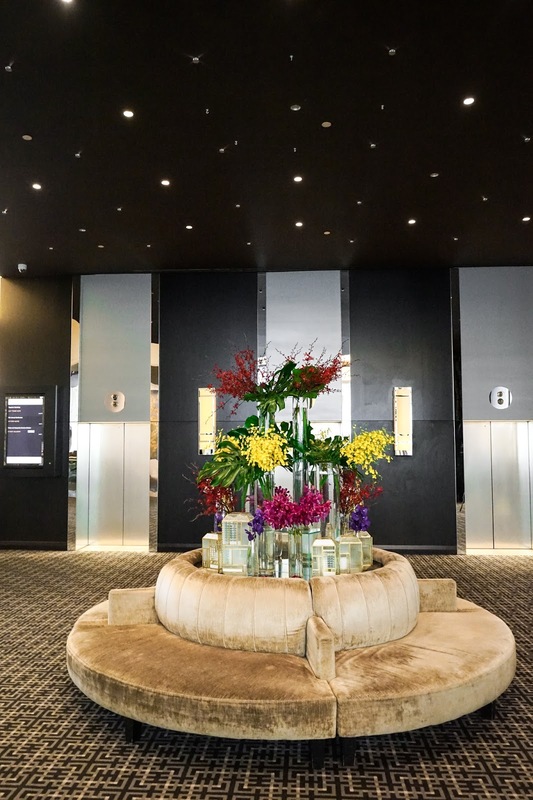 The main reason why I have chosen to stay at Sofitel Melbourne was due to it’s location in the Central Business District, as well as it’s premium accommodation, hospitality, gastronomy and design. Undoubtable, the perfect choice for travellers who like to be inspired by unforgettable experiences. 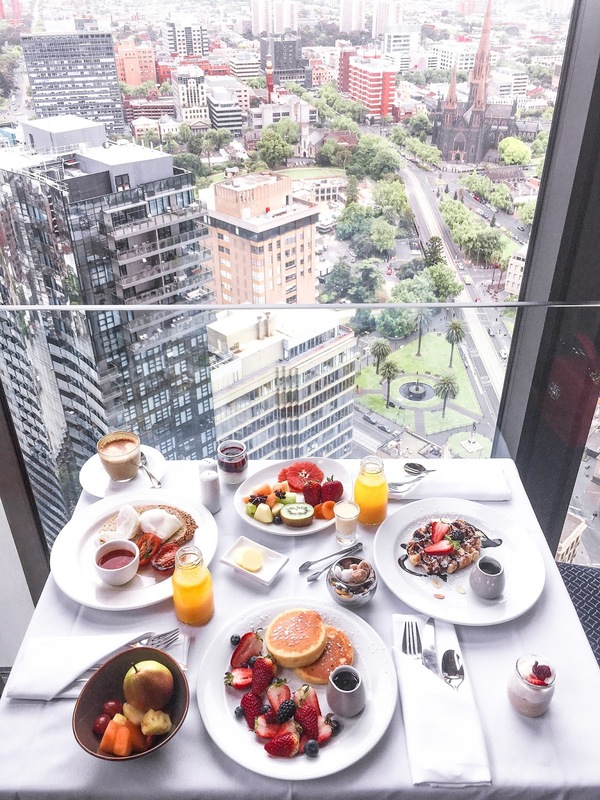 I was welcomed by the lovely staff members of Sofitel Melbourne on Collins Street upon arrival, an assortment of delicious treats and champagne was the perfect gift to start off my stay here. The Melbourne Cup Carnival is known for its outrageous fashion, and the vibrant colours that bring out the energy of the racing event. The 2017 Melbourne Cup Day fashion celebrates a more festive approach- bold and bright colours are strongly encouraged! Red in all shades was a very popular choice this year, and so is cobalt blue, yellow, soft pastel pinks and crisp whites. I opted for this beautiful lace crisp white dress that best accentuates my figure - it hugs in all the right places! Since red was a very popular colour this season, I decided to give the outfit a pop of colour by accessorising it with a red shoulder bag. There are clearly a lot of ways to go about raceday fashion, a tip is to pick an outfit that you feel comfortable in, as the day involves a lot of celebratory drinks and walking in a crowd of 100,000+ people. No 35, the renowned restaurant with unparalleled views of downtown Melbourne located on the 35th floor of Sofitel Melbourne on Collins was the perfect place to dine before the rush to Melbourne Cup. 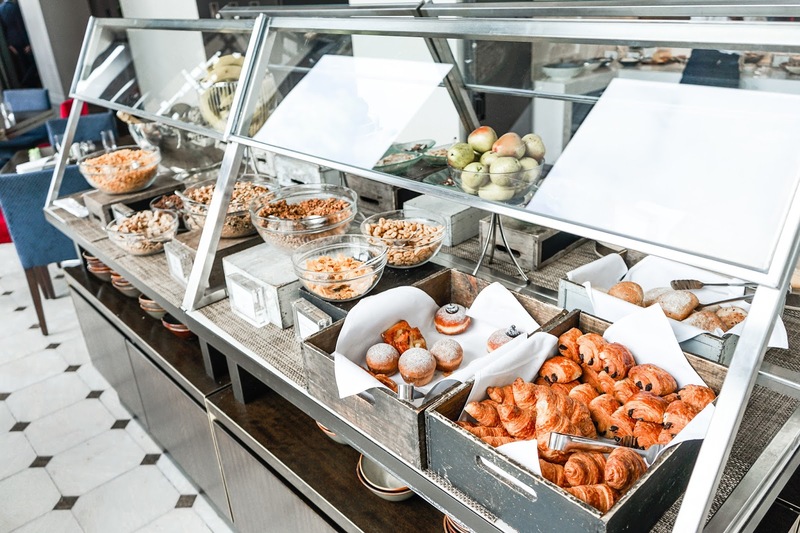 Brunch is served in a buffet style – think eggs benedict, chocolate drizzled waffles and freshly squeezed juice. 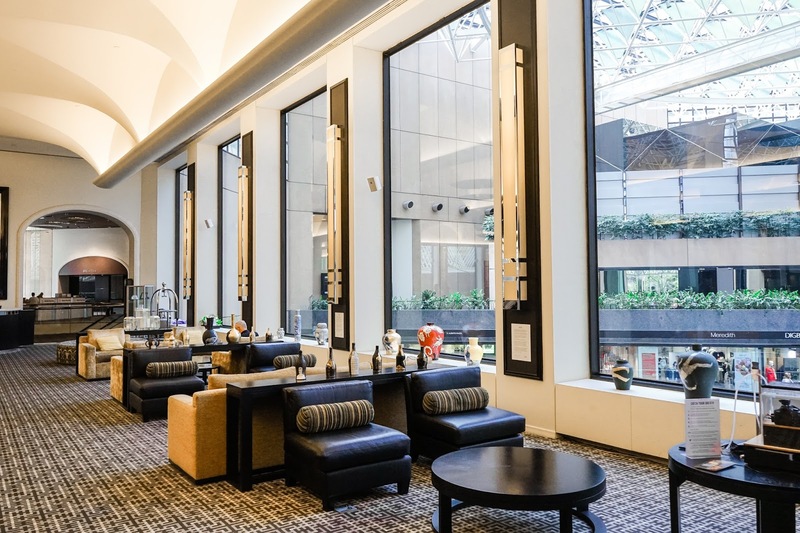 , located on level 1 of Sofitel Melbourne on Collins is a hub for business meetings and leisurely teas that can be enjoyed throughout the day. 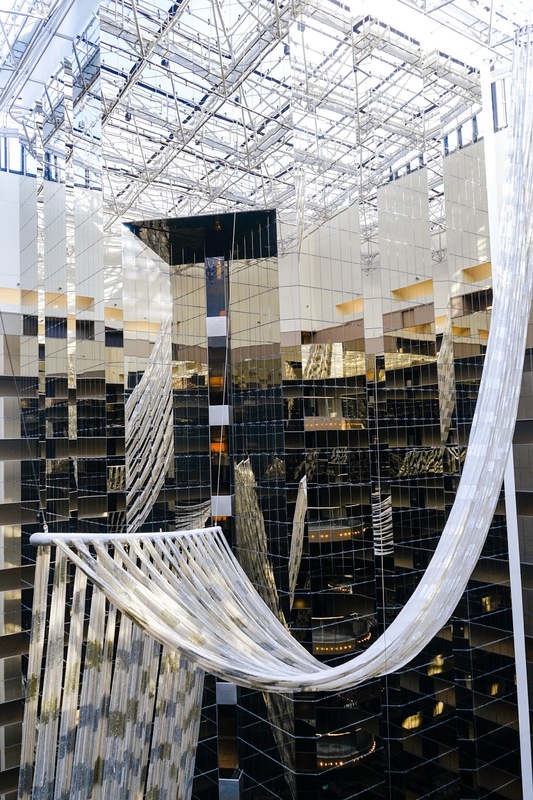 It features an expansive gallery with an array of exhibited artworks, fresh flower installations and a lofty ceiling. 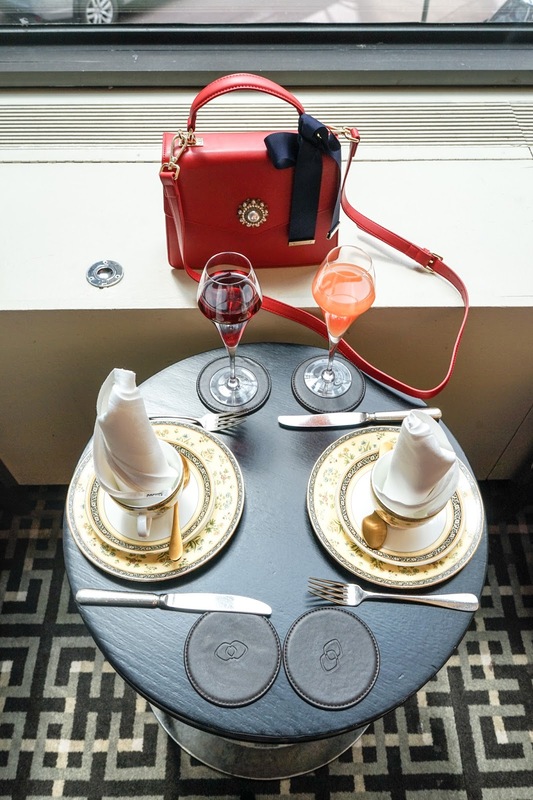 The menu includes Weekend High Tea decadence, Weekday Afternoon Tea and Le Goûter. 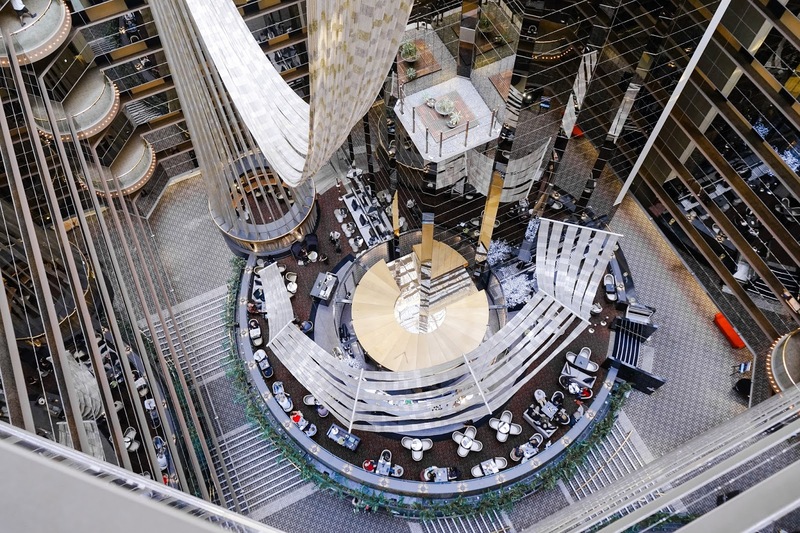 Atrium Bar, located on the 35th level features an ambient and upmarket sophisticated space beneath a stunning mirrored fifteen floor canopy. 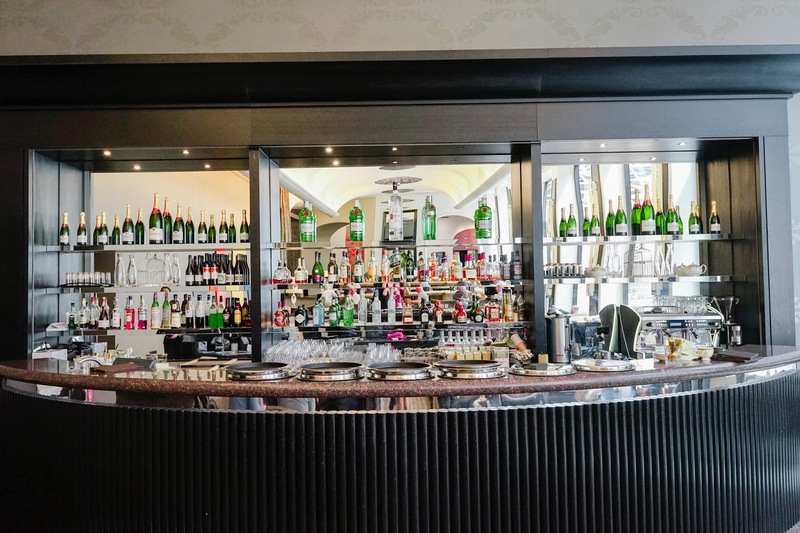 This bar is go-to place for the evenings worth celebrating, and I spent most of my time straight after The Melbourne Cup event enjoying the best selection of Champagne, signature cocktails, boutique beers, fine wine and light meals. 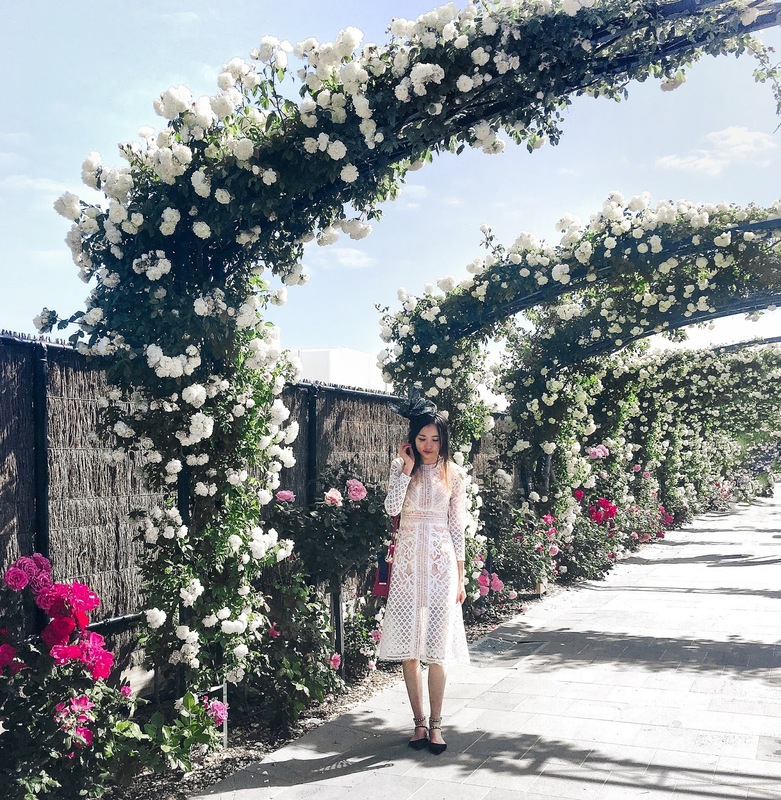 Wow, amazing place and your white lace dress is everything! What an amazing place! Sounds like you enjoyed the cup! Sofitel Hotes are so beautiful!! Also loved the outfit you wore, your red bag is divine!! Wow, beautiful pictures and it sounds like fun! What an amazing place and I love the white lace dress! 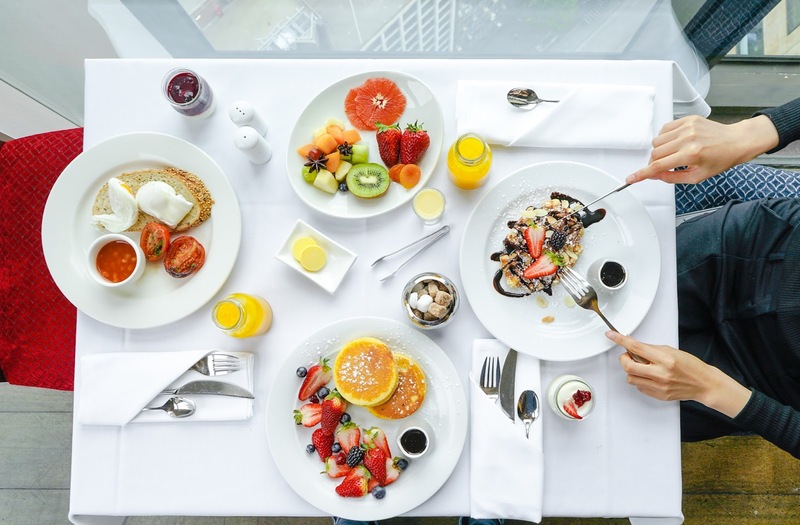 the brunch looks darn amazing, as well as the view too! what a beautiful hotel! 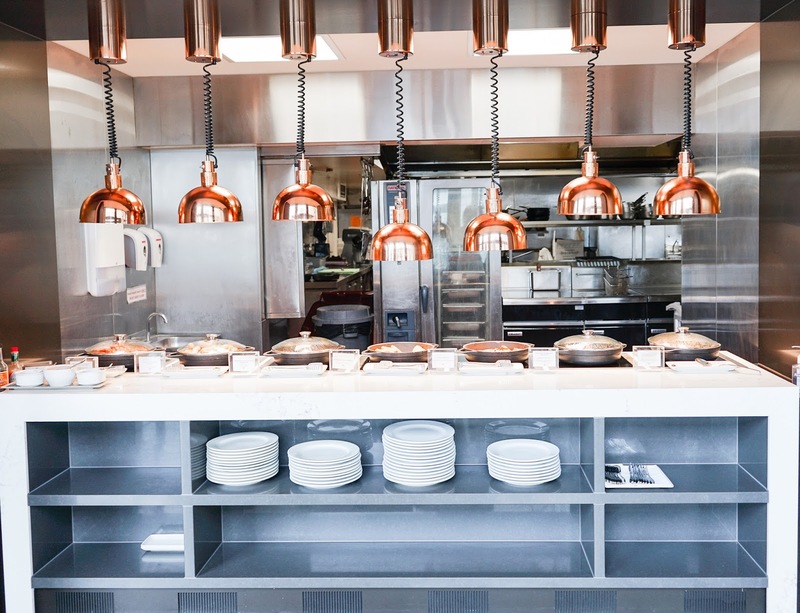 This is SUCH a lovely space! What an amazing place! Love these beautiful photos! Glorious photos! I've always had such a wonderful time at Sofitel hotels. They really do have the best service! Love all the details!! Amazing pics dear!! Wow, what a beautiful place to be! Love your white dress as well. It looks like such an amazing place to stay! I'll need to remember it next time I'm in Melbourne! The food just looks so good. I love your white lace for Race Day. Such a gorgeous dress. These photos are gorgeous, this looks like such a gorgeous place to wander to. It looks like you had a of fun, and I'm very slightly jealous haha. These photographs are all so divine, looks like you had a wonderful time. That food is what sticks out to me most, it all looks so gorgeous!